It has begun. You are neck-deep into NaNoWriMo, or a writing project with a looming deadline, or your own creative baby. And it has come to an abrupt halt. Suddenly the ideas just won’t come. You aren’t sure what comes next or why you are even doing this anymore. Every. Word. Is. Wrong. Welcome to The Wall. Let’s discuss how to navigate around that sucker. I agree 100% with Malcolm Gladwell’s assessment that creative people have messy brains. It’s not just a matter of disorganization; many of us are actually painfully well organized. It’s just that we recognize that every experience can be useful, so we don’t throw anything out. Our minds are overly full, spilling over the boundaries of categorization. The problems arise when we try to pre-edit before that glorious mess comes out on paper. Embrace that mess. Learn the value of a good edit. Which comes later. Know that if it winds up even messier than you had planned, you can always hire a good editor to help you sort it out. Your job at the creative stage is just to see what might happen. What could happen. 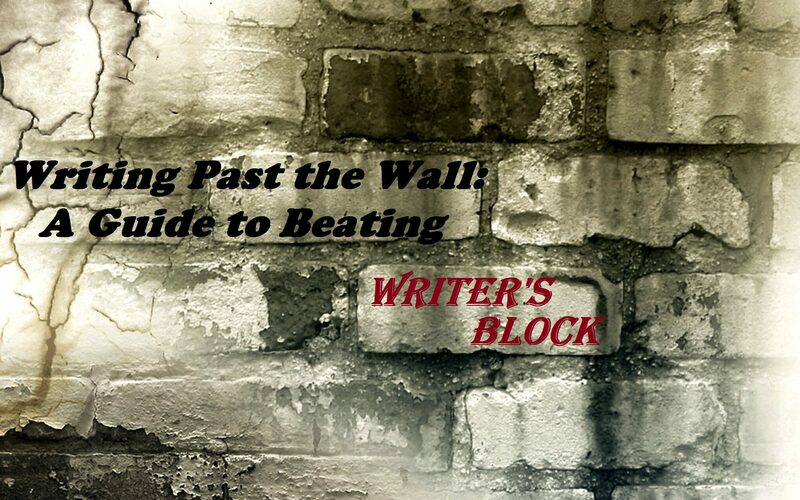 Scott Barry Kauffman, author of The Psychology of Creative Writing, claims the secret past the notorious writer’s block is in allowing for error, and realizing how non-linear writing can be. Prolific writer Graham Greene found that keeping a dream journal was his solution. It allowed him to be completely free of all compulsion to judge the work he was writing. It just was. He was merely the recorder. And everything could happen. Not much of a lucid dreamer? Try another writing exercise to get you going. Imitate another author’s work. Re-write your day the way you wish it had happened. Embrace your inner poet. Take another character’s point of view. Write their backstory, or the backstory of a totally minor side character, and have fun with it. It’s not going into the final product, so don’t worry about it being “right.” My favorite part of this strategy is that I can convince myself I am working on the project. Because it all matters. Even if those pages don’t wind up in the final piece, you as author knowing these details will enable them to emerge in meaningful ways throughout the text. Side trails do not make you less productive. They are an important part of the creative process! A routine helps ensure you are making room in your life for creativity and progress in your work. But it can also start to make you dread that 5:00 hour, or whenever you begin writing. Switch it up. Wake up early. Take your work outside. Read out loud. Write with pencil and paper for a bit. Beyond that, get up and MOVE. Literally get a fresh perspective. A Stanford study showed an 81 percent increase in divergent thinking in participants who went for walks. Science doesn’t lie, friends. I’ve also found it helps to go make something totally unrelated. Pottery. Cookies. Paper crafts. Bookshelves. Giving your brain a much-needed break to creatively solve other problems while allowing the story to marinate in your subconscious can create delicious results. Is there another project taking up brain-space just waiting for you? Tackle it. Do the laundry. Answer emails. Get some holiday shopping done. Get it out of the way so you can relax into the more creative work on your docket. Clear out those distractions. Setting a timer is a great tool for free-writing, but it’s also great for giving room to those nagging projects begging to be an interruption. Give yourself 20 minutes to tidy up the office, or make a phone call. Accomplishing something so visible and refreshingly complete feels fantastic when you’re in the middle of a beast. NaNoWriMo, huh? So… how much sleep have you been getting? Despite the urgency of the task, your brain is dependent on the rest of your body getting everything it needs for survival to function at its best. Make sure you are getting a reasonable amount of sleep. Take a nap, if you need it. Set a goal to drink at least 8 cups of water a day. Get some exercise. Running is known to release endorphins and help with memory and cognition. Run on a nature trail if you really want to break out of writer’s block jail. That combo of endorphins and stress relief found in the great out of doors is like dynamite to those walls hemming in your creativity. One 2012 study found that people who spend significant time in the wild increase their ability to solve creative puzzles by 47%. Finally, listen to your grandmother. Choose healthy foods. When you eat well, you feel well. Hitting that wall can be a daunting experience, but with the right mindset, it can actually lead you down paths you would have otherwise left unexplored. Embrace the mess. Write, walk, and work your way around it. Take care of yourself, and carry on. You’ve got this. I love this! Well-written and helpful suggestions I can reasonably do! Thank you! You are so welcome! I’m glad it was helpful!